Watching a family of singing birds thrive and grow in your own back yard (literally!) is one of the greatest joys of summer. 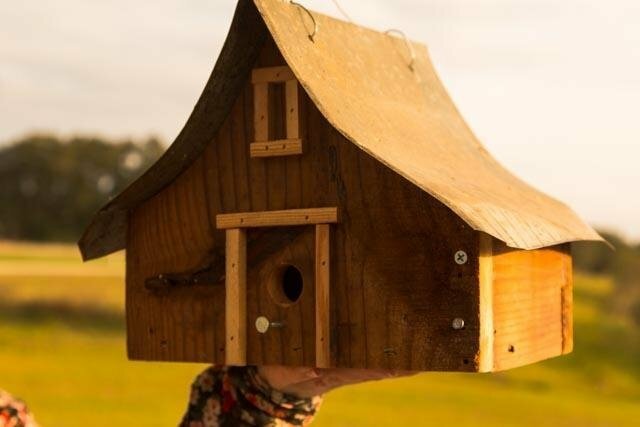 Our unique wooden bird houses, poly bird houses and various bird boxes - each and every one built with pride and care by expert Amish woodworkers from exclusively American materials - are the best way to extend a warm welcome to a new family of birds and to keep them coming back year after year. There are as many different species of bird in your garden as there are names for them, and every one of them has a different idea of what their ideal home looks like. Different kinds of houses and boxes (as well as feeders and food!) will attract different kinds of birds - so which one is right for you? Bird boxes are used to provide a nest space for "cavity-nesting" species, including bluebirds, wrens, chickadees, woodpeckers, and many, many more. Their versatile design makes them suitable for mounting on a tree or fence and, in some case, on a post. In order to keep predators out of your bird box, it's recommended that you position the box at least four to six feet above the ground. If mice and squirrels are a problem in your area, adding a small conical predator muffler to the box's entry hole can help to keep the birds and their eggs safe and sound. Bluebird houses are specifically designed to encourage bluebirds to make their nests in your yard. 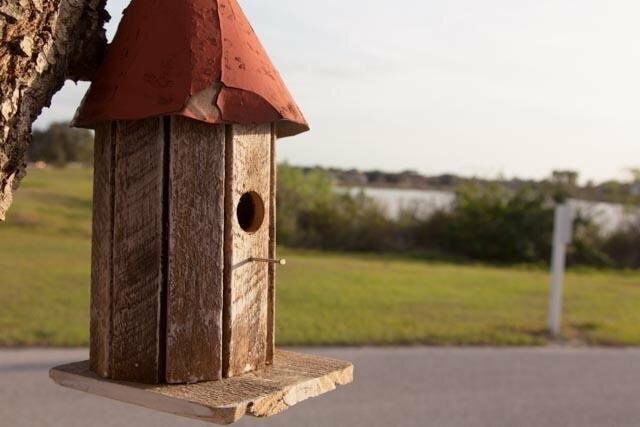 With a small entry hole and an extra-thick, extra-protective roof, this kind of wooden bird house is also popular with house sparrows. For the best results, position your bluebird house four to six feet off the ground in direct sunlight. Known for their beautiful and distinctive song, martins have a deep need to make their nests in close proximity to other members of their family. 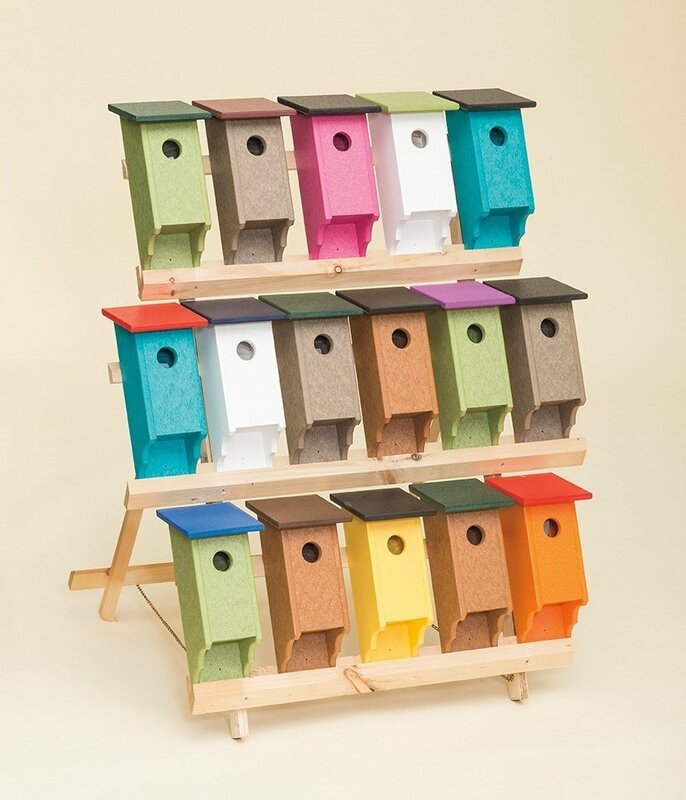 Our large martin houses - available with 6,12, or 14 compartments, arranged like small apartment buildings - provide ample space for a gang of martins to make a home. Our plastic gourd is a stylish alternative to the traditional large martin house. When martins have enough space to nest in great numbers, they will happily form a colony. Putting two or more large martin houses or gourds in close proximity to one another and safely mounted at least five feet off the ground will encourage a great swathe of these beautiful singers to call your garden home! Wren houses solve a common problem in the business of wren-watching: bigger, more aggressive birds taking up the space you so carefully set aside for the beautiful wrens! 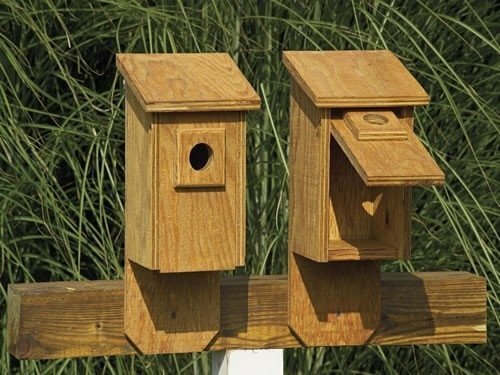 Similar to bluebird houses but with a smaller entry hole, wren houses provide a small space that only wrens and chickadees should be able to access. Keep these boxes at least three feet off the ground, up to a maximum of ten feet. Place it in a space that has at least some cover nearby, or is itself within the cover of leaves or a thin bush. If you're not trying to attract a specific breed to your garden, we offer a wide variety of one-size-fits-all bird houses designed to keep bigger birds out and instead invite strong singers in to make the house their home. With shapes and designs including Noah's Ark, a shining star, a terraced cottage and much, much more, our range of multipurpose bird houses is sure to have something that fits your garden's bill. 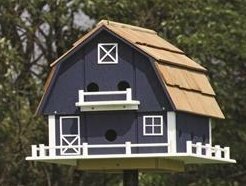 Our Amish made birdhouses offer safety, shelter and an attractive home for your backyard wild birds. Our customers and their birds love our birdhouses and we know you will as well.